It is said that one picture is worth a thousand words. Human beings have used symbols throughout time to convey messages and ideas without having to write a single word. The use of a simple symbol in a film, a book, or an advertisement says far more than any wordy explanation ever could, acting as a visual shortcut to that part of our minds that understands them. For example: when you see the double golden arches of a McDonald’s logo, any number of things might come to your mind… you might decide you are hungry for a burger, you might remember an embarrassing moment in a MacDonald’s drive thru when you spilled your drink in someone else’s lap, or maybe a horrifying incident when a toddler choked on a french fry… you might remember sights, smells, times, friends, and situations that you hadn’t thought of in years. The sight of the logo might generate nostalgia or nausea… depending on your experience. 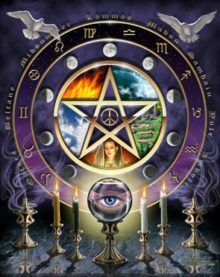 The use of symbols and sigils in magick has a similar effect. The only difference lies in your own personal experience, use, and knowledge of the symbol, sign, or sigil. 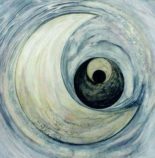 It is my intention here, on this little mini-site, here at shirleytwofeathers.com, is to catalog a wide variety of signs, symbols, and sigils… along with ideas for how they can be used in magickal ways to add meaning and dimension to your life experience. I hope you find something interesting and informative as you explore this site.